We all know applesauce and pork chops or peaches and pork chops go together like a hot damn. 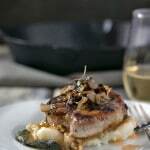 Well now do does peach cider, in a sauce form, drizzled all over pork chops marinated in garlic, rosemary and sage and then topped with caramelized onions. Its slightly sweet and savory all at the same time. This is a great recipe to serve as a main course at a dinner party. 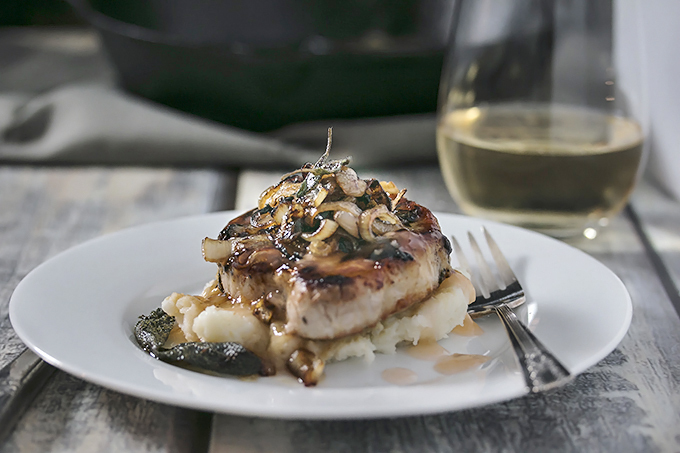 You can marinate the rosemary pork chops, make the peach cider sauce, caramelized onions, and your mashed potato side dish ahead of time and then just warm it up as you cook the pork chops and perhaps steam some veggies to go with when your guests arrive and you are ready to eat. The cook time is quite short too. You just have to pay attention so that the rosemary pork chops don’t overcook. 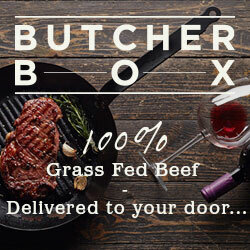 I love serving meals to guests where you don’t have to be slaving away in the kitchen while everyone else is mingling and sipping on cocktails. Especially when they are light on the work, but they look so pretty. I love that fried sage on top too. So yummy! I have some awesome news! Kevin and I sold our house a couple weeks ago! The sale closes on the 29th of March, but we have moved out already and into a rental suite for a few months while we build a brand new home on 2 acers of forested land on Sumas Mountain. We are SO excited to get started! Its going to be quite the process as our property is full challenges. Getting a well put in, taking down as few trees as possible and leveling out the location of the first build which will be the shop and the coach house above the shop. If you are interested in these kinds of things, I will be posting about the process on Instagram for sure and I might even try my hand at snap chat! Marinate the pork chops. Give the pork chops a quick wash and pat dry. Mix together the rosemary, garlic and salt. 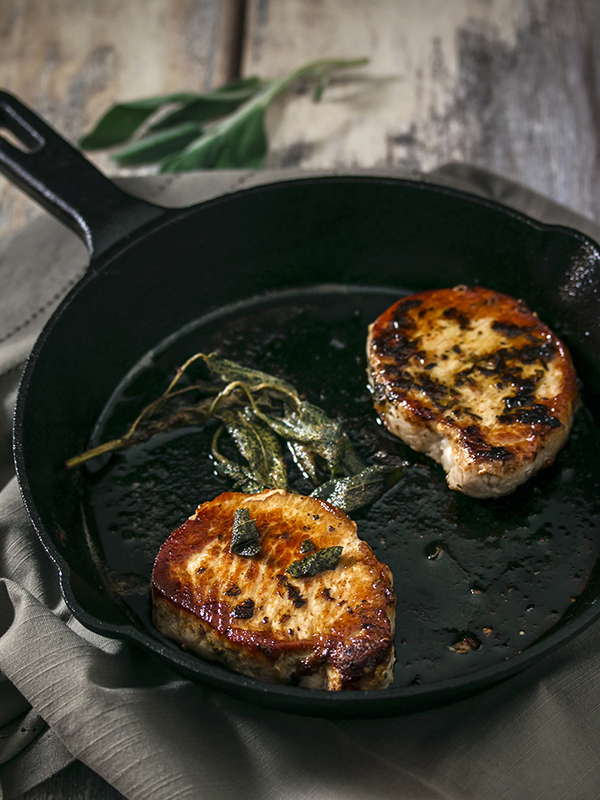 Drizzle olive oil on the pork chops and rub the herb mix all over both sides of the pork chops. Set aside. Make the sauce. Add the peach cider, rosemary, sage, shallots, salt and garlic to a saucepan. Bring to a simmer and cook till the liquid is reduced in half. Take 2 tablespoons of the liquid out and add the cornstarch to it to make a paste without lumps. Add it back to the saucepan and stir well. Keep stirring until the mixture thickens slightly. Turn the heat off, cover and set aside. Next make the caramelized shallots. Heat a small skillet to medium-low heat. Add the butter and the shallots and stir well. Sprinkle with salt and cook until the shallots start to turn a golden brown. You may need to turn the heat down to low and cook them there depending on your stove. Finally cook your pork chops. Heat your oven to 350 degrees. Heat a large skillet on medium heat. Add the butter and the sage and let the sage fry in the butter for about a min or so. Remove the sage and set aside. Increase the heat to medium-high and add the pork chops to the pan. You want to hear them sizzle as you place them in the pan. Cook for a min or two or until the pork is nicely browned. Flip over and brown the other side. Insert a meat thermometer and throw the chops in the oven until the meat thermometer reads 54 degrees. Remove from the oven, cover with foil and let the chops rest for 5 - 10 mins before serving. 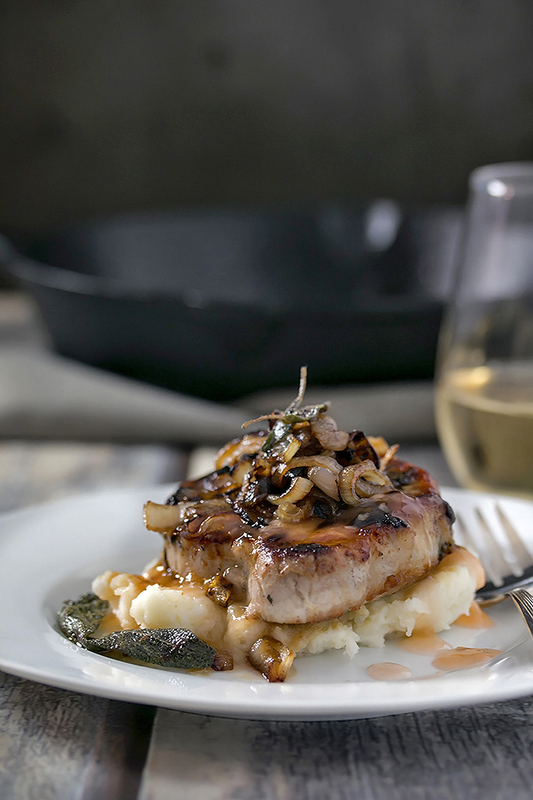 Top each pork chop with a pile of caramelized shallots and drizzled in peach cider sauce. Serve with mashed potatoes or rice pilaf. Great photos…looks like I could just stick a fork in it right there. Congrats on the move and good luck. Thank you so much! Appreciate it.